I wrapped up last year with a list of some of the best audio I listened to in 2017. This year I huffduffed about 260 pieces of audio, so I could do a similar end-of-year list for 2018. But I thought I’d do something a little different this time. It seems like podcasting is going from strength to strength with each passing year. Some friends of mine started new podcasts in 2018. Matt started Hobby Horse, where he talks to people about their tangential obsessions. Meanwhile Khoi started Wireframe, a jolly good podcast about design. Apart from the trend of everyone having their own podcast these days, there’s also been a trend for quite short and manageable “seasons” of podcasts. See, for example, Horizon Line by Atlas Obscura, which is just four episodes long. Given the cherry-picking nature of my usual audio consumption (the very reason I made Huffduffer in the first place), this trend suits me quite well. There have been a few podcast runs in 2018 that I can recommend in their entirety. The Secret History Of The Future is a collaboration between Seth Stevenson and Tom Standage, one of my favourite non-fiction authors. They look at modern technology stories through the lens of the past, much like Standage has done in books like The Victorian Internet . There are annoying sponsor blurbs to skip past, but apart from that, it’s a top-notch podcast. I discovered Settling The Score this year. It’s a podcast all about film scores. The two hosts have spent the year counting down the top 25 scores in the American Film Institute’s list of (supposedly) greatest scores in American cinema history. It’s a pleasure to listen to them take a deep dive into each film and its score, analysing what works and what doesn’t. It will also make you want to rewatch the movie in question. By far my favourite podcast listening experience this year was with Stephen Fry’s Great Leap Years . It’s just six episodes long, but it manages to tell the sweep of human history and technology in an entertaining and fascinating way. I’ll admit I’m biased because it dwells on many of my hobby horses: the printing press, the telegraph, Claude Shannon and information theory. There are no annoying sponsorship interruptions, and best of all, you’ve got the wonderful voice of Stephen Fry in your earholes the whole time. Highly recommended! Stephen Fry’s Great Leap Years . Marc shares some of his podcast favourites for your huffduffing pleasure. Have you ever stumbled across a piece of audio online that you’d like to listen to later? Perhaps a friend messaged a podcast episode or news report to you, but you weren’t in a position to listen to it at the moment. You need Huffduffer. I was pointed to this discussion thread which is talking about how to make podcast episodes findable for services like Huffduffer. Find any a elements that have href values ending in “.mp3” or “.m4a”. If there’s just one audio on the page, use that. If there are multiple audio, offer a list to the user and have them choose. Look for a link element with a rel value of “enclosure”. Look for a meta element property value of “og:audio”. Look for audio elements and grab either the src attribute of the element itself, or the src attribute of any source elements within the audio element. 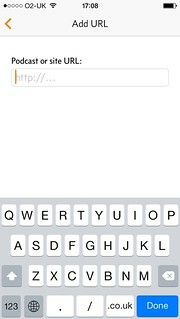 Try to find a link to an RSS feed (a link that looks like “rss” or “feed” or “atom”). If there is a feed, parse that for enclosure elements and present that list to the user. That’s the simplest option. If you’re hosting with Soundcloud, this is pretty much impossible to accomplish: they deliberately obfuscate and time-limit the audio file, even if you want it to be downloadable (that “download” link literally only allows a user to download that file in that moment). You can also use ?page=referer—that misspelling has become canonised thanks to HTTP. There you go, my podcasting friends. However you decide to do it, I hope you’ll make your episodes sharable. A walkthrough on using the iOS app Workflow to huffduff audio files from just about any app. RFID podcast radio-in-a-box (needs sound to make any sense) | Flickr - Photo Sharing! This is so nifty! A combination of the Radiodan, Huffduffer, and RFID, all wrapped up in a box. 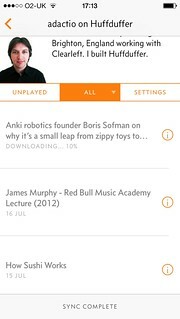 Marco Arment has released his podcast app Overcast for iOS—you can read his introduction to the app. It plays nicely with Huffduffer. If you want to listen to any Huffduffer feed in Overcast, it’s a straightforward process. 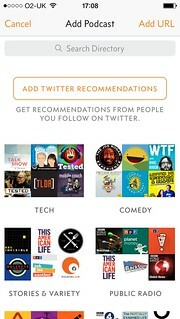 Launch the app and tap on “add a podcast”. Then tap on “Add URL” in the top right. Enter the Huffduffer URL e.g. huffduffer.com/adactio. It’s pretty straightforward to subscribe to Huffduffer URLs in other iOS apps too. 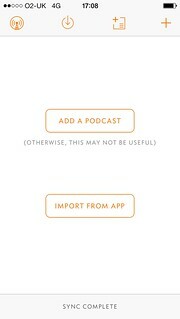 Matt has written up the process of using Huffduffer and Instacast. And there’s also a write-up of using Huffduffer and Downcast. A quick little introduction to Huffduffer. Great suggestions from Dave for podcasters keen on allowing easier sharing. Oh, how I wish Soundcloud would do this and be less of an audio roach motel! This makes me so happy! Matt is using Huffduffer. Specifically, Matt is using Huffduffer together with Instacast and this is how he’s doing it. A good overview of making Huffduffer play nicely with podcasting software on iOS. Huffduffer is a niche tool that, for me, solves a recurring problem. I can now save episodes from any device without having to subscribe to an entire show if I’m just interested in a a single episode. A nice succinct description of Huffduffer. Lovely.